Let’s talk about some of the new fighting features. First and foremost, why don’t we talk about the Final Smash? Absolutely. I think it’s the biggest feature we added. Can you give us a brief overview? Simply put, it’s a special move that can be used only once. During a match, there’s a small probability that an item called the Smash Ball will appear. By picking up this item, you can use that character’s Final Smash. People who have played the previous Smash Bros. title need only imagine the stronger, more majestic version of Hammer to understand what I’m talking about. 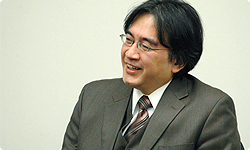 We’ve touched upon it several times during our talk, but I truly believe that Smash Bros. was made with less talented gamers in mind, and the idea that stronger players shouldn’t dominate gameplay is prevalent throughout the game. If you and I were to square off for ten matches, for example, I could KO you at least once. You think so? (laughs) That way, if a boy and his younger brother play together, they’ll both enjoy themselves despite the gap in their abilities. This is made possible by adjusting handicaps or the frequency of traps and suchlike, but especially through the Final Smash. Right. It can change the direction of a match in a flash. Players are likely to race for the Smash Ball as soon as it appears and I suspect players will get more fired up racing after it than by actually using it. “If I get my hands on the Smash Ball, it’s comeback time!” “This attack’s going to blow him away!” It’s great to see these thoughts race through players’ minds as they scramble toward the floating Smash Ball. You also have to hit it several times. That’s right. You have to smash it open. Not knowing who’s going to break it open adds some excitement. Even if you have an overwhelming advantage in terms of positioning, you can still suffer some disappointment if someone arriving at the ball after you takes it. And you will have to flee depending on who actually gets the Smash Ball. Even though everyone just finished scrambling to get it, everyone rushes to flee the moment someone gets their hands on it. This contrast makes it interesting, creating a great blend of excitement between attacking and retreating. Because as soon as the Smash Ball appears, it turns into a race to the ball and then, once someone grabs it, it turns into a race to safety. Right. It shakes up the rhythm of the match. Actually, I thought of using the Smash Ball since the very first Nintendo 64 version of the game. Hmm, that would make it a nine-year plan then. From a conceptual standpoint, it was even earlier. You might start asking “is this guy for real” again, but I’ve got proof. Yes. Actually, there are characters in the new series whose voices are the same as the ones we recorded for the Nintendo 64 Smash Bros. 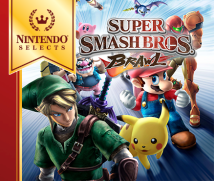 There are recordings we made for Final Smashes at that recording that are being used unaltered in the current Smash Bros. Brawl. Wow! I had no idea! That means it was written in the stars nine years ago. Hey, wait a minute. Now that I think of it, I think I was there for the recording. It just came to me, but I remember you giving the voice-over actor some very specific instructions during recording, and I was standing there asking myself how you could give them in such detail. I guess even then you must have been able to envision the final product right down to its details. Maybe. But I hadn’t come up with the name Final Smash yet. 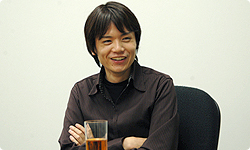 But it means that you had recorded Final Smash voices for moves that wouldn’t be designed until nine years later. It’s more like it took me nine years to finally be able to use them. At the time, we recorded several voices to be used for Final Smashes and, when I listened to them this time around, they were perfect. They matched the Final Smashes so perfectly that I couldn’t believe they had been recorded nine years earlier.